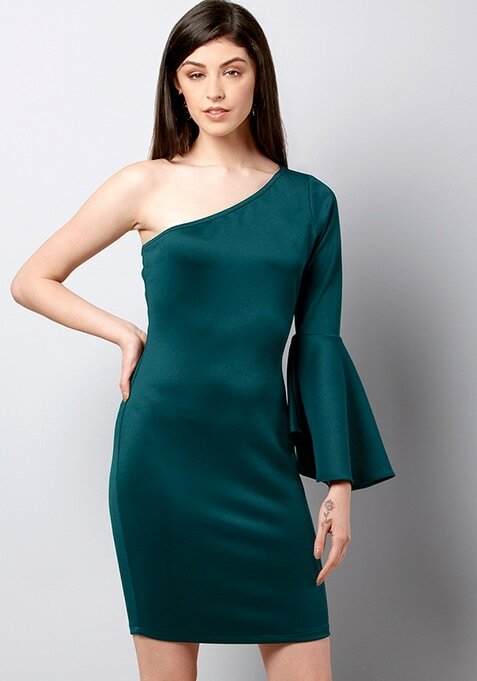 This green one shoulder dress is a lust-have for this season. Featuring one shoulder design, this skin baring dress is a summer must-have. Work It: Team with some thigh skimming boots and wear some makeup for a party-perfect vibe.